What is your business worth? Do you have any idea? 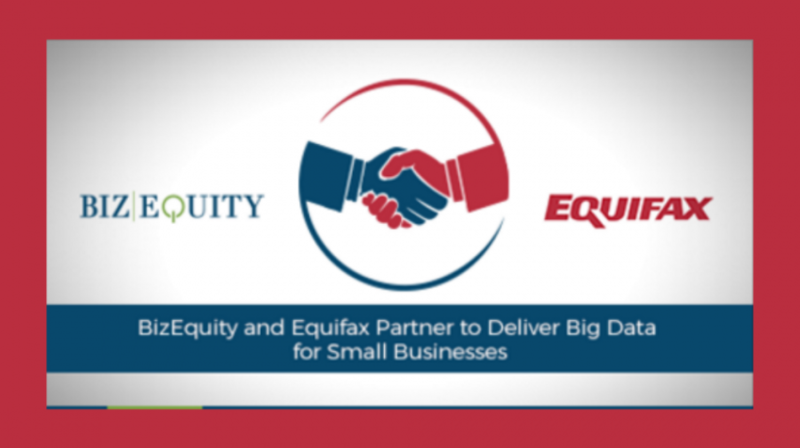 BizEquity, an online provider of business valuation big data, recently announced it has entered into a strategic partnership with Equifax (NYSE: EFX), an information solutions and global insights provider, to help answer this very question. The companies say they’re offering a joint business valuation service that will help small business owners better understand what their businesses are worth and help financial professionals prospect more effectively. BizEquity says it has valued over 33 million private businesses and distributes its patented cloud-based service through thousands of financial advisors. The company says the new partnership marks the next step in democratizing business valuations, bringing together Bizequity’s “pioneering valuation service” with Equifax’s platform that reportedly organizes, assimilates and analyses data on more than 820 million consumers and more than 91 million businesses worldwide. “We are proud to team up with Equifax, a global leader in the world-wide data and insights business, to harness the power of billions of data elements and use this data to democratize knowledge for every small business around the world,” said Michael M. Carter, CEO of BizEquity, which is headquartered in Wayne, PA, but has offices in key markets around the world such as London, Singapore and Delhi. Business valuation knowledge is important for small business owners and financial advisors who want to optimize their ability to capitalize on a range of opportunities, such as business insurance and financing. With a significant number of businesses looking for financing and many proprietors planning retirement based on the sale of their companies, BizEquity insists this valuation knowledge is crucial. Some 10 million businesses are actually expected to change ownership over the next 10 years and will need business valuation services that are mainly provided by financial institutions and advisors, according to the press release announcing the BizEquity and Equifax partnership. The partnership hopes to change this by jointly distributing the BizEquity valuation service to hundreds of thousands of small businesses. “By jointly distributing the BizEquity service, targeting over 900,000 financial professionals, we’ll both innovate and disrupt by delivering value to the commercial market,” Carter said in the announcement. As part of the agreement, Equifax says it will license certain data assets that include financial and business details of some 80 million companies to BizEquity to pre-value over 71 million private businesses using its patented cloud-based valuation platform that harnesses sophisticated algorithms and big data knowledge. This will enable financial professionals, such as bankers, financial advisers and wealth managers, to provide their clients and prospects with real-time insight into the fundamental questions of what their businesses are worth and how they are performing — in a fraction of the time it takes to accomplish a traditional business valuation, the partnering firms revealed in the announcement. Prospecting intelligence and lead engagement. “Combining our market-leading data assets with BizEquity’s award-winning technology is an excellent strategic relationship and an example of how Equifax continues to create innovative alliances,” said Joy Wilder Lybeer, senior vice president of Enterprise Alliances at Equifax. A company headquartered in Atlanta, Ga, Equifax has grown from a consumer credit company into a leading provider of insights and knowledge helping its customers make informed decisions.